If you were once a fourth-grader in California, you probably remember learning about the state’s trail of 21 historic missions. Maybe you even made a model of one of them with Popsicle sticks or papier-mache — or maybe that’s something you’d prefer to forget. 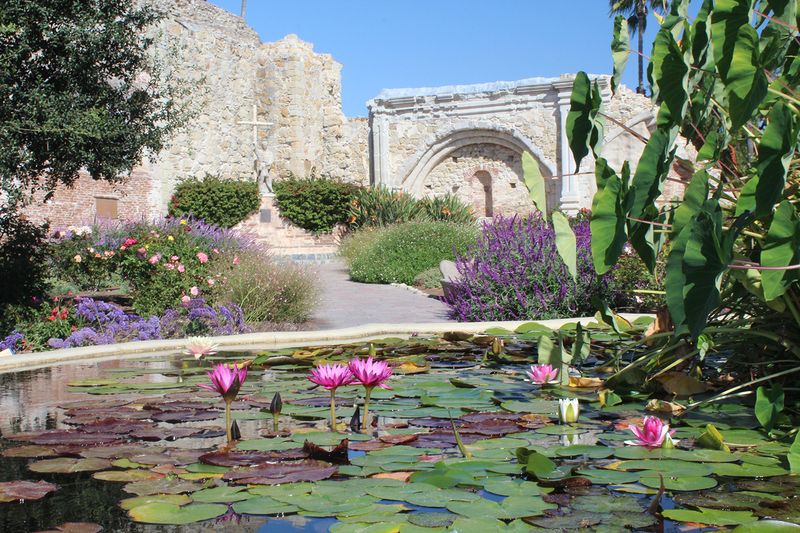 Created between 1769 and 1823, the missions are central to California’s story. But until now, the ways in which their history has been interpreted and taught have largely discounted the perspectives of the Native American and Chicano/a communities who built them. Beginning this month, a group of University of California scholars that includes Jennifer Scheper Hughes, a UC Riverside associate professor of history, seeks to broaden the narrative to more accurately reflect both the history of the missions and the diverse communities that have been at the center of the state’s development. Hughes and three colleagues — project leader Charlene Villaseñor Black of UCLA, Amy Lonetree of UC Santa Cruz, and Ross Frank of UC San Diego — are the recipients of more than $1 million in funding through UC’s 2019 Multicampus Research Programs and Initiatives, or MRPI, awards competition. Presented every two years by the university’s systemwide Office of the President, MRPI awards support cutting-edge research collaborations across UC campuses and disciplines. This year, 16 projects were chosen from a pool of 179 eligible proposals to receive a total of $9 million in funding. The winning proposal submitted by Hughes, Villaseñor Black, Lonetree, and Frank is titled “Critical Mission Studies at California’s Crossroads.” Far-reaching in scale, it aims to pioneer an entirely new field of scholarship, Critical Mission Studies, geared toward highlighting the historical contributions of Native American and Chicano/a peoples that traditionally have gone overlooked. Hughes noted the proposal for the MRPI project developed out of a summit convened at San Marino’s Huntington Library in 2016 by the UC-Mexico Initiative’s Arts and Cultures Working Group. During that meeting, a group of about 20 UC scholars, Native American leaders, preservationists, and government officials from California and Mexico came together to discuss the missions’ shared heritage and future efforts to preserve it on both sides of the border. In Mexico, Hughes explained, responsibility for preserving and protecting the colonial missions of New Spain falls under the jurisdiction of the National Institute of Anthropology and History. “So many ideas and connections came out of that work that we realized we really needed to secure funding to begin to implement some of the possibilities explored,” she said. Villaseñor Black, who described the project as an opportunity to “decolonize histories,” said a chain of recent events — including the controversial canonization of Junípero Serra in 2015 — has underscored the need to critically re-examine the missions. “We’re witnessing a sea change when it comes to how we approach the missions, with different expectations of accountability coming into effect across the state,” Hughes added. With education in mind, Hughes and Villaseñor Black said one of their initial priorities is the development of curricular materials for California public school teachers, produced in collaboration with the California Historical Society. Beginning in summer 2019, the researchers plan to offer a program for teachers that will train them to incorporate the new materials and new perspectives in exchange for continuing education credits. • Distributing subgrants to faculty members across the UC system. • Funding collaborations with Native American leaders and community organizations, and other California partners. • Awarding two postdoctoral research fellowships to assist with leading the project: one in Native American studies and another in Chicano studies. • Offering research fellowships to graduate students at each participating campus. • Establishing five humanities labs at different missions, which will serve as intensive research sites for faculty and students — both graduate and undergraduate — pursuing public history, art history, archaeology, preservation, and curatorial work. The project builds on existing collaborations between UC faculty and California Native communities. The first step of the grant will be to convene a California Indian Advisory Board to establish priorities and advise on all areas of the grant. Because 19 of the state’s 21 missions fall under diocesan control, the researchers said part of their work will also depend upon forging relationships with individual missions. Those relationships will jumpstart much-needed preservation work. The project also enables collaboration with leading preservationists from Mexico’s National Institute of Anthropology and History, who will aid in the process of “stabilizing” the historical contents of the missions, including material objects, archival documents, and artworks. 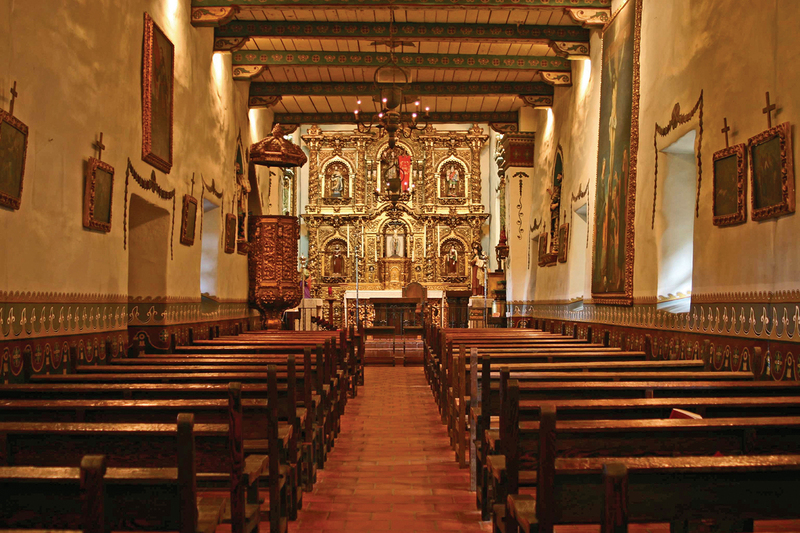 Villaseñor Black, who has studied Catholic religious art from the colonial period for most of her career, said the missions’ paintings and book collections are of particular interest. Hughes also emphasized the project’s potential to explore some of the more contemporary aspects of the missions, such as longstanding rituals that see many immigrant and cultural communities engage in public memory-making. Likewise, Villaseñor Black said the researchers’ work could eventually serve as a model for other states with missions, including Arizona, Texas, and New Mexico.